when the diffeference of collector temperature and tank temperature gets to the set value, the circulation system will start work. 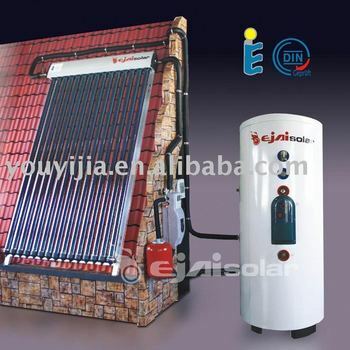 It will transmit the solar energy from solar collector to the tank. d. Multifunction: bathing, washing, domestic heating etc. e. Work at anytime and enjoyable.